A core group of civic-minded and self-made wealthy entrepreneurs primarily from Bangalore are getting ready to formally launch a trust that will help fund independent and socially committed media ventures in India. The Independent and Public Spirited Media Trust (IPSMT) will be launched in October, following a year or more of behind-the-scenes preparation, said one Bangalore-based executive who is familiar with the workings of the trust but did not want to be named. The trust will be the first systemic effort to fund new media ventures in India that aren’t conceived as for-profit enterprises in a country where the vibrant mainstream media is widely seen as tainted by ownership and related conflict of interest issues, a naked pursuit of ratings and dubious ethics. The core support of Rs 100 crore, or $15 million, for the trust is coming from technology billionaire and education-focused entrepreneur, Wipro Ltd chairman Azim Premji, who also has funded a large namesake philanthropic effort; Rohini Nilekani, founder-chairperson of Arghyam, a foundation that works on water and sanitation issues; Kiran Mazumdar Shaw, chairperson and managing director of Biocon Ltd, and Vikram Lal, former chairman of Eicher Motors. Also, actively helping with IPSMT’s roll-out strategy is Nandan Nilekani, who is married to Rohini. Nilekani, former co-chairman of computer-services giant Infosys and best known as the man behind India’s national identity card programme, Aadhaar, and Rohini have long been quiet--and increasingly vocal--supporters of independent media efforts in India, such as Economic & Political Weekly (EPW). In an email response, Anurag Behar, CEO of Azim Premji Foundation, said “Premji and several others are going to support independent public spirited media; for this, an independent organisation has been set up.” Behar said the organisation is setting up a website, which would be up in a couple weeks. 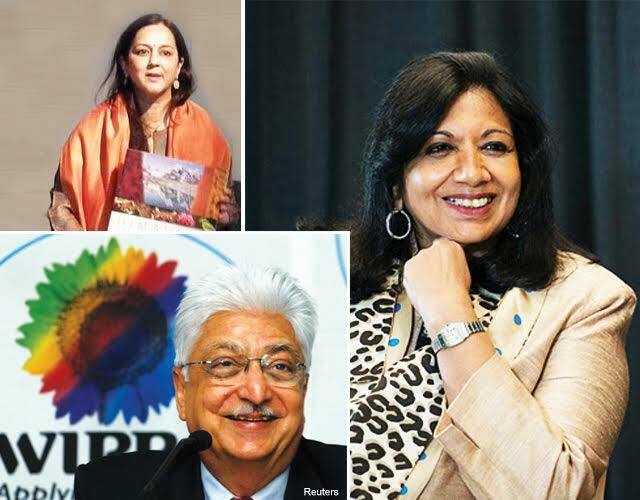 G Ananthapadmanabhan, head of Azim Premji Philanthropic Initiatives, who is believed to be involved in the formation of the new organisation couldn’t immediately be reached for comment. About a year ago, Rohini Nilekani had told The Times of India that a public interest media venture was at an exploratory stage. An ex-journalist and author, she is also founder-chairperson of Pratham Books, a charitable trust which seeks to put "A book in every child's hand." According to the same Bangalore-based not-for-profit executive, the trust will give grants and investments: “It is structured in such a way that if there are any returns on investments, those will be again be used to fund (more) media firms,” he said. The trust’s promoters have lined up a stellar panel of trustees to guide activities, including CB Bhave, former chairman of markets regulator Securities and Exchange Board of India (SEBI); Ashish Dhawan, co-founder and former senior managing director of private equity firm ChrysCapital and founder of philanthropic fund Central Square Foundation; Justice Ruma Pal, former Supreme Court judge, and author Ramachandra Guha. The trustees are chaired by TN Ninan, chairman of Business Standard Ltd that runs the Business Standard newspaper. A search is currently underway for a CEO of the proposed trust. Third Sector Partners has reached out to several executives in India in recent weeks, according to two people approached by the Mumbai-headquartered headhunting firm, which specialises in not-for-profit executive and board hires. It is widely believed that the government is unlikely to act on Khullar’s recommendations given the strong and growing nexus of industrial conglomerates and India’s news media, the most recent example of which was the acquisition of Network18 by Independent Media Trust, which is a part of Reliance Industries Ltd, India’s largest private firm by revenues. India has seen some nascent efforts to launch “independent” media organisations such as data journalism focused Indiaspend.org, which is supported by grant from impact investment firm Omidyar Network as well as Rohini Nilekani. Others, such as TheWire.in are likely to be the kinds of media ventures that could potentially be funded by IPSMT, which plans to seek additional contributors to its corpus and will also likely to have a crowd-funding component to its future fund-raising. So far, the Omidyar Network, part of the not-for-profit effort funded by Pierre Omidyar, the former Ebay executive, has been the most active formal source of funding for media enterprises in India. It has made seed investments in Scroll Media Inc, publisher of scroll.in, and News Laundry Pvt Ltd that runs Newslaundry.com as well as in DailyHunt (former NewsHunt.com). The IPSMT comes as India has seen a spurt in digital media startups such as ScoopWhoop.com and TheQuint.com, both of which aim to go after the growing social-media centric young audience. Both are actively looking for new investors. The past year has also seen some investments from both financial and strategic investors in digital-only media in India. Ver Se Innovation Pvt Ltd, which runs DailyHunt, raised $40 million in January from investors, including Falcon Edge Capital, Omidyar Network Advisors, Matrix Partners and Sequoia Capital India in a Series C round, four months after its $18 million Series B round. In July, mobile news curator News in Shorts, which aggregates third-party news and presents it in 60 words, received $20 million in Series B round from existing investor Tiger Global. Also, Kalaari Capital, Qualcomm Ventures, Ratan Tata and TV Mohandas Pai recently invested in YourStory Media Pvt Ltd, which has pivoted to profiling early stage startups in several languages. Similarly, the parent of this website was acquired by News Corp in March this year.